The photo id for this photograph is 82, in the Schools album. Was unknown. Renamed to Horwich End after Brenda's comment. Thanks Brenda. Teacher looks like Mrs Butterworth at Horwich End school. I recognise Dorothy Fletcher and Edna Bates. Peter Oldham 2nd row down, 1st on the left (my Brother) Joan Smith on the back row 2nd fron the right, Definitely Mrs Butterworth. 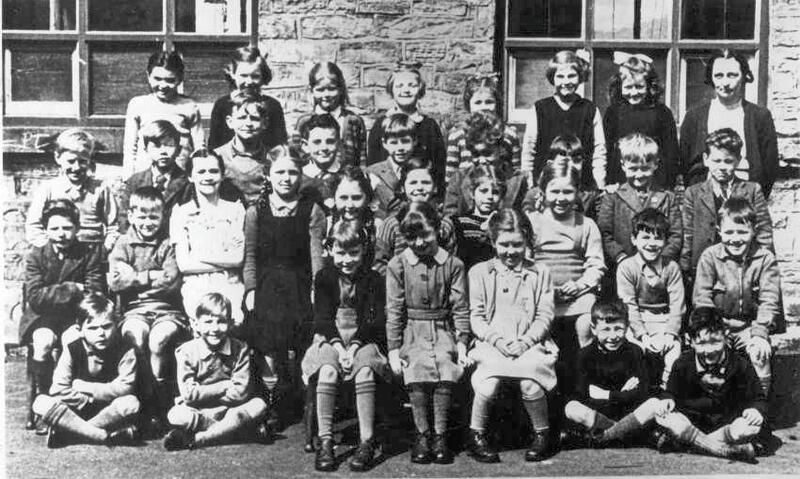 The teacher is definitely Mary Butterworth (my Mother-in-law) My husband is 3rd from the left on the 2nd row.